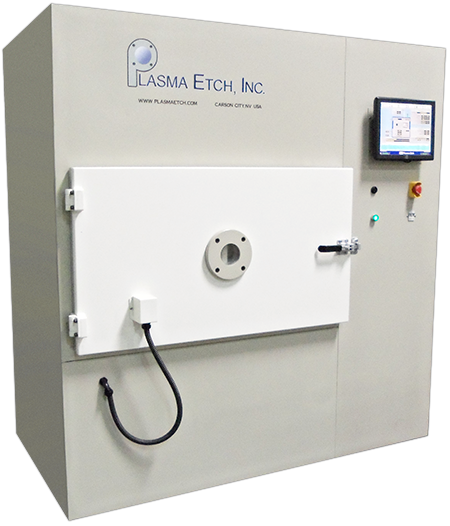 The MK-II plasma etching system offers technological advantages such as the unique combination of process temperature control and electrostatic shielding. Both work in harmony to produce the most consistent, most uniform, and most reliable etch rates obtainable across an entire board's surface. 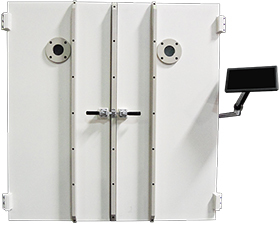 The MK-II is an excellent choice for use in industrial clean room settings as a plasma etching system. Our patented gasless technology, originally developed for larger systems, is available on the Mark II and allows unmatched speed and uniformity. The gasless Mark II is able to perform desmear and etch back without the added expense and environmental impact of CF4 gas. The system uses only electricity and oxygen. Not only can you etch and desmear without CF4 gas, but customers have reported the gasless Mark II etching faster and more uniformly than a standard Mark II running CF4. To purchase a MK-II, please contact us at (775) 883-1336 or email us at sales@plasmaetch.com. For fully automatic system control, multi-step process sequencing, multiple recipe storage, data logging/trending, events/alarms, etc.